Will algorithms replace gut instinct? Human beings are adept at specifying what’s required for a job position and eliciting information from candidates but where they fall down is weighing the results of interviews. That was the key finding of research conducted by Nathan Kuncel, Deniz Ones and David Klieger in conjunction with Brian Connelly of the University of Toronto. The analysis of 17 studies of applicant evaluations showed that when it comes to predicting new employees’ success in terms of promotions and their ability to learn from training, those hired with algorithmic systems outperform those hired by human decisions by at least 25%. The result is the same in any situation with a large number of candidates, regardless of whether the job is on the front line, in middle management, or in the C-suite. The research, published in Harvard Business Review, found that humans are easily distracted by things that might only be marginally relevant, and they also use information inconsistently. “They can be thrown off course by such inconsequential bits of data as applicants’ compliments or remarks on arbitrary topics – thus inadvertently undoing a lot of the work that went into establishing parameters for the job and collecting applicants’ data. So they’d be better off leaving selection to the machines,” the HBR article states. However, the researchers also highlighted a key problem: other surveys suggest that when assessing individuals, 85-97% of professionals rely to some degree on intuition or a mental synthesis of information. “Many managers clearly believe they can make the best decision by pondering an applicant’s folder and looking into his or her eyes – no algorithm, they would argue, can substitute for a veteran’s accumulated knowledge,” the researchers stated. 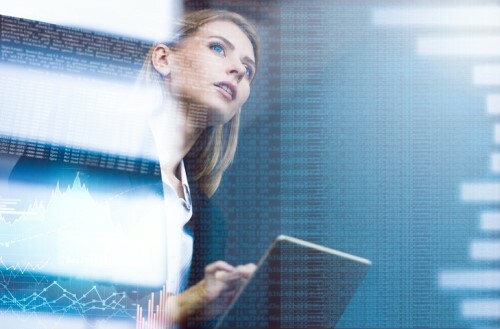 Alec Bashinsky, CHRO Asia Pacific Region at Deloitte, told HRTechNews that he does not believe algorithms will replace human instinct – but they will help HR make more informed decisions. Bashinsky cited Mya, the AI recruiting platform used by Deloitte. Prior to launch, the HR team input a range of questions and answers into Mya with the proviso that AI learns as it goes so over time it would be able to handle increasingly complicated scenarios, questions and responses. “We had one example where we didn’t input the answer to a particular question but the behavioural algorithm was smart enough to know that if the answer was true for question A and B, then the answer to C must be this. And it was absolutely correct,” Bashinsky said. However, Bashinsky added that human instinct or gut feel will still be a required trait of any HR practitioner. “It’s just that we’re invariably looking to see how the data from AI can help to support that instinct,” he said. Aaron McEwan, HR practice leader at Gartner, told HRTechNews that although it’s not explicitly stated, when people talk about ‘gut instinct’ what they generally mean is a degree of “humanness”. “When we're talking about people vs machines and we use a term like gut instinct, part of that is about how we bring to bear our experience and our innate human instincts to make decisions,” he said. While he conceded the technology is not quite there yet, McEwan added that “very soon” machines will make better decisions based on available data and they will be less prone to unconscious bias and the range of cognitive errors that humans bring to the process. However, the key will be overlaying that with the experience and knowledge of ethics and governance that currently only humans have. “What I would hope is that as the technology improves we’ll continue to apply human judgment in the form of ethics, governance and checking the decisions being made by machines before a final recommendation is made,” he said.